This article provides a blueprint for successful library strategies in support of accreditations for regional bodies as well as reviews of discipline-specific academic programs spanning a wide range of knowledge areas. Mays, Antje. 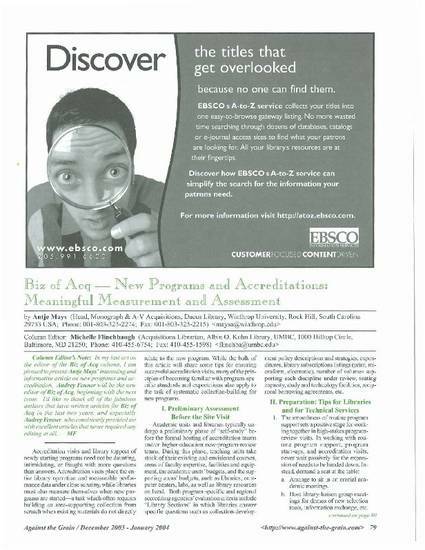 ”New Programs and Accreditations: Meaningful Measurement & Assessment". Against the Grain, vol. 15:no.6, December 2003-January 2004, pp.79-82.